Big snow hit our neck of the woods today. that means the mom had the day off from work too. I had big plans but somehow, the day had other plans for me. I got nothing that I had planned to do, done. I defy anyone with a heart or a conscience to walk past these two rascals all decked in their snow impermeable finery, flappin' the eyelashes on those big brown eyes and not drop what they're doing to go play outside in the snow. attached to both lists and put on my boots. Once I opened the garage door, I realized that I really needed to shovel before JR got home or we'd be shoveling from now until Spring. So I let the kids play a bit while I got to work. Good exercise I kept telling myself, either that or a great way to determine if the emergency rescue vehicles in my neighborhood were up to snuff in the snow. Sweetie Pie really enjoyed herself for the first time. She was out in the snow last year but she basically did her best statue impression. with WonderBoy, the Energ*izer Bunny, by her side they just went to town. otherwise known as an expert in the fine art of snow tasting. since she can remember in her whole life...all 28 months of it. as they sunk into the snow. 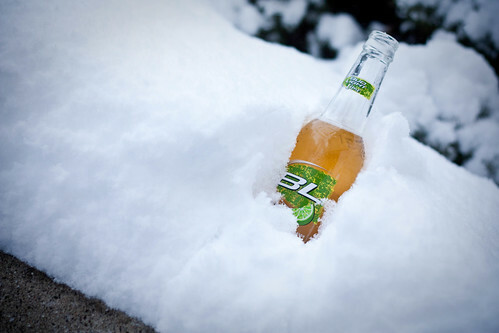 Shoveling can be a tough job but somebody's gotta do it. as he so resourcefully kept my beverage cool. I looked around and realized that they were looking at me. I began making lame excuses why we couldn't make one. I turned myself in and succombed. I think he looks more baby seal than he does snowman. The kids were just tickled pink over him. its not quantity that matters in life...its quality. They bought it...all of it... hook, line and sinker. 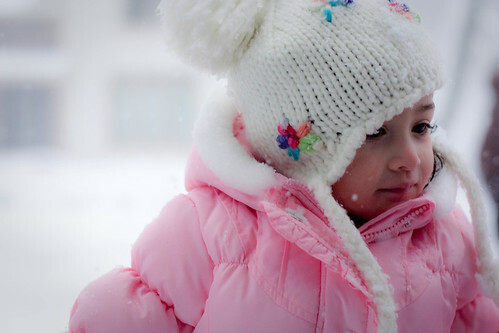 I sure do miss being a little girl playing for hours in the snow with my own dear brother. that looks like a lot of snow. If it is causing you to get out tools and perform manual labor, the fun is done. 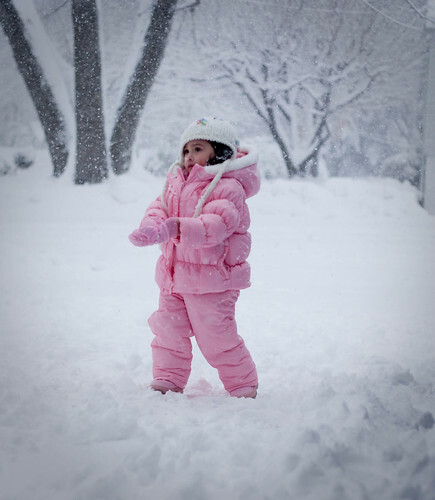 the kids have the right idea, dress up froick in it, taste it, for it into the smalest snow form ever seen and get inside for some hot cocoa and cookies and watch a movie. We saw fakes today but they were spread out and meted upon impact with the windshied. my hat is off to you for dressing them in so many layers. I think we have one layer in case of cold. Great pictures with mommy at home. Enjoy your work days from home. Looks like the kids really had a fun snow day. I think you may have had a little too! Oh how I wish we had a little of that beautiful snow down in our neck of the woods. Would be a nice change for a day or two. Stay warm and hope you're able to somehow tackle that darn "to do" list one day soon. Oh WOW......what a day you had. I LOOOOVVVE all these pictures and tale you spun around them (you are amazing). The first picture of Sweetie Pie in the snow is absolutely gorgeous. You've got to frame that. It's a real beauty - a classic. Your kiddos had a blast and you all made a wonderful memory of your first "real" snow day together that will last a life-time. Beautiful. (BTW....what were you doing up at 2:43 this morning? Oh, you don't need sleep either? And who is the enerigizer bunny?) Hope today you can cross off at least one thing on your list. These are great! I wanted to go out & brave the snow yesterday to take pictures, but I couldn't work up the stamina to get out of my PJ's and out in the cold ;o) Some aspiring photographer, no? Ha! I regret not doing it, especially after seeing your beautiful pictures! I wish I had SP and WonderBoy egging me on! 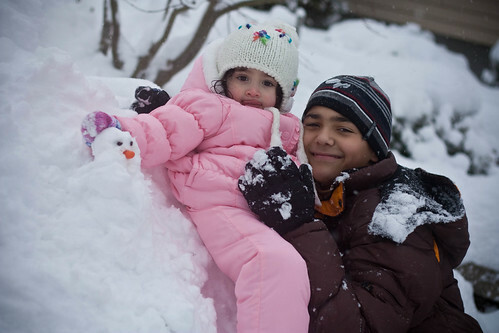 These pics are so cute and the kids look adorable.....so happy that you got some of the white stuff....finally!! Kids make us remember things we used to do, and get us to do them all over again :). Loved these. Dita, I am so glad I found your blog and thank you for the comments you leave. It is a comfort to know others get what I have been going through. How cute!!! You got some great shots of your two snow bunnies! LOL @ snowmelier, that made me laugh out loud. Wow, you have a lot of snow!! We have nothing. Get shots Dita!! Looks like they had fun out there. What awesome pics of your cuties! I have had enough snow and all the work that comes with it! I agree with TM, snowmeliering is a long gone art form. Nice that he can revive it again. You always make me laugh my friend...love your words and wonderful pictures. 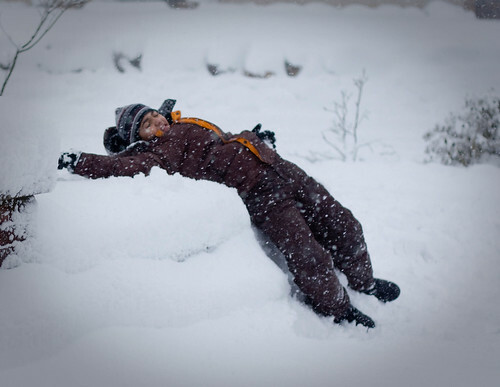 The ones of the kids with the snow coming down are amazing candids. You just keep getting better and better!!!! These precious memories (and gorgeous photos!) are way better than some silly lists! The snowman/seal :) is adorable!!!! I am off to play in the pool with my little girl who is chanting to me "swimming, swimming, swimming!" What a cute post - pictures, kids and the writing! They look like they had fun in the snow. 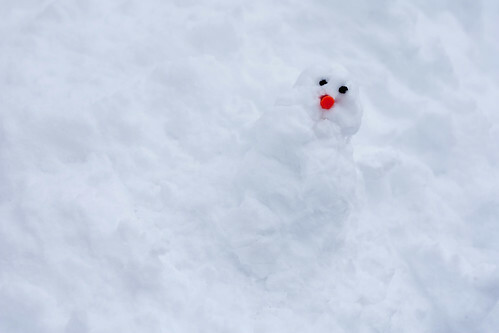 And that snowman is pretty darn cute, too!